Two books I’ve been most curious about. First we have the third in the Psalms of Isaak, Antiphon, with its brand spanking new style of cover. Here are the covers for the first two books in the series, Lamentation and Canticle. So it’s a whole new look to it, but I can see TOR looking to capture more of an audience with this more common type of fantasy cover, so will be interesting to see if it pays off. Personally, I think the older covers are better, more majestic, and more interesting. And then we have the next installment from Christopher Golden and Tim Lebbon, after the fantastic Map of Moments, with The Chamber of Ten set in Venice. In his debut novel, Lamentation, Ken Scholes set the stage for his five-book epic, bringing his complex cast of characters together to the catastrophic ruins of the once great city and library of Windwir. 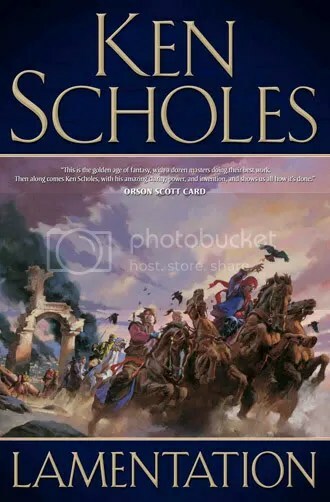 Now, in the second book of the Psalms of Isaak, Scholes sends his characters off in opposite directions, on their own quests and journeys, each with different goals. Along the way, some will meet as friends, some as enemies, some as lovers. Readers will also learn more about the incredible world of the Named Lands and the Outlying Regions, as the characters travel deep into them, uncovering the ancient history of this realm that has been hidden, kept secret, misunderstood, and barely hinted at in Lamentation. Scholes continues his genre-blending of fantasy with science fiction (or is it the other way round?) with a new form of invisible assassin able to move faster and more deadly than Rudolfo’s trained spies and warriors, as well as his memorable mechoservitors . Readers will be hooked from beginning to end, and then left waiting for the third book due out fall 2010; however there is a free story available at the TOR site for those impatient set within the same world. Originally written on November 24th, 2009 ©Alex C. Telander. For an interview with Ken Scholes check out BookBanter Episode 21. Ken Scholes is the author of Lamentation, the first in a five-book series called the Psalms of Isaak. 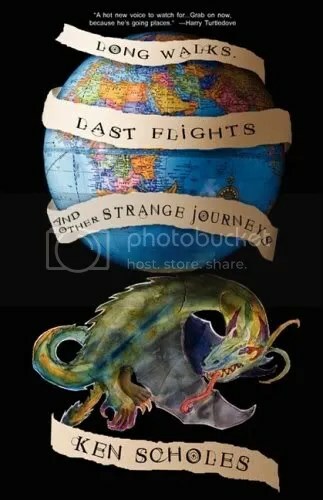 For those looking for some other examples of Scholes’ writing (and if you read and loved Lamentation and need something else by him right away), then Long Walks, Last Flights and Other Strange Journeys is the book for you. Featuring sixteen stories and one novella, it is a great collection that shows the true range of this blossoming author, as well as his love for not just story, but strong characters. The collection begins with a wonderful preface from Patrick Swenson and a glowing introduction from James Van Pelt. With the very first story, “The Man With Great Despair Behind His Eyes,” it is clear that Scholes has a knack for telling unique stories. The story is about Meriwether Lewis and his journey across North America after a special meeting with Jefferson; on the other side of the country he meets with a man close to death who is a supposed time traveler from the twentieth century. “One Small Step” explores a world where chimpanzees have been trained as workers and mount an uprising against the humans on the surface of the moon. “Edward Bear and the Very Long Walk” is the story of a toy robotic bear that is the last hope for the world, but with each step is brought closer to his demise, but first he must complete his quest. With each of these stories, Scholes hasn’t simply created an incredible story, but unique characters that you immediately care about, whether they’re human or not. You are moved in their journey or quest, supporting them, wanting them to make it to whatever the end is. When they falter, you falter with them, sadness in your heart; when they triumph, you smile along with them. Long Walks, Last Flights and Other Strange Journeys will keep you comforted in the wait between Lamentation and Scholes’ next book in the series, Canticle, as you continue to enjoy the great writing from this new author. Originally written on May 3rd, 2009 ©Alex C. Telander. New author and winner of Writers of the Future, Ken Scholes, offers up the first book in a projected five-book series known as The Psalms of Isaak, featuring the complexity and political intrigue of George R. R. Martin with the artistic touch and historical feel of Guy Gavriel Kay. Lamentation is a subtle fantasy novel that does not seek to dazzle readers with nonstop action, but instead introduces them to a complicated world where there is no clear definition between good and evil for the different kingdoms, where each decision that is made will have important and far reaching ramifications. Lamentation begins with the end of a beloved city, Windwir of the Named Lands. All that remains is a curling column of smoke reaching into the sky after the casting of a catastrophic spell that razes the once great city to nothing but ruin and dust. The main characters of the kingdoms of the Named Lands – Rudolfo, Lord of the Ninefold Forest Houses; Petronus, the Hidden Pope of the Androfrancine Order; Sethbert, Overseer of the Entrolusian City States; Jin Li Tam, daughter to the king of the Inner Emerald Coast – all pay witness to the devastation and must now begin putting the pieces together to find out who is behind this terrible destruction and to punish them accordingly. The evidence rests on the word of a young boy, Neb, who witnessed the event, along with the survival of a merchservitor named Isaak who proclaims he is to blame for it all. Yet he is but a robot, a machine that was ordered to do this; human hands and minds are ultimately behind this cataclysmic event. Ken Scholes has created a wonderfully original world where it is not immediately clear who is fighting on the side of good and who isn’t. Each character must be severely question on where their intentions lie and what they hope to achieve. Scholes also uses a fresh blend of steampunk where there are mechoservitors to perform important duties, and mechanical birds that are used to send messages, as well as a special kind of magicks that uses elemental forces and materials for abilities like invisibility and speed. Lamentation is the first book in a great new series from a strong new voice in the world of fantasy. Originally written on March 31st, 2009 ©Alex C. Telander. I think pretty much everyone is aware now of what Amazon.com recently did to one of the publishing giants, Macmillan. Essentially it was a final reaction to a disagreement that’s been brewing between Amazon and Macmillan for some time over the price of ebooks. Amazon offers ebooks at a bargain rate of $9.99 and Macmillan wanted Amazon to raise the price to $15 for their books. Amazon then decided they’d had enough of this and instead chose to not only take down all the ebooks published by Macmillan, but also take down all their print books too. So basically Amazon — at the moment — is not selling any books by authors published by Macmillan. If you go to one of Macmillan’s books on Amazon, you’ll find the book, but see that Amazon is not selling new copies, and there are only used copies available. A couple of authors I’ve interviewed — Brandon Sanderson, Ken Scholes and Cherie Priest — are published by Macmillan, and here’s an example of what happens if you want to buy a new copy of their books at Amazon: The Gathering Storm by Robert Jordan and Brandon Sanderson, Canticle by Ken Scholes, or Boneshaker by Cherie Priest. You may have noticed that these authors are published by Tor, yes, Tor is an imprint of Macmillan, and yes, Tor controls a large amount of all the fantasy and science fiction books being published. They are also a very important publisher when it comes to publishing new authors too. As Jay Lake has said on his blog: first week sales for new books are incredibly important. Now for authors who’ve had their books out for a couple of months, it’s not necessarily so bad, but when the book came out in the last week or is due to come out in the next couple of weeks, it’s not good for the author; especially if you couple this with a brand new, first-time published author whose career may very well be determined by sales of the book. And we all know what an influence Amazon has on the book market in sales. So you can take it how you want, think of Amazon what you will. In my opinion, it’s a pretty pathetic and childish thing to do, especially since the economy is still not doing well at all, and the publishing world is making tentative steps and is quite fragile at the moment. The least Amazon could’ve done was take down the ebooks published by Macmillan, but left the print books up. New York Times article: Amazon Pulls Macmillan Books Over E-Book Price Disagreement. Thoughts and links from a literary agent: quick sketch on the Amazon vs Macmillan weekend theatre. Reuters article: Next threat to Amazon’s $9.99 books? Rupert Murdoch. Washington Post article: The Amazon-Macmillan book saga heralds publishing’s progress. 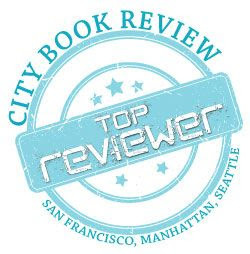 Episode 20 of BookBanter features the first of the four interviews I did at the World Fantasy Convention in San Jose. In this episode, I had a chance to sit down and talk with bestselling Australian author Garth Nix. 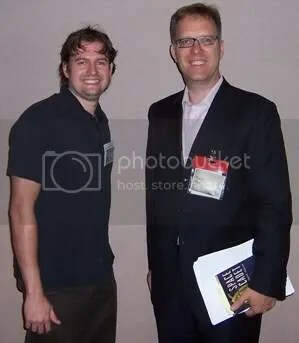 While Nix doesn’t have a new book due out until next March, with the final book in the Keys to the Kingdom series, Lord Sunday, he was a Guest of Honor at the convention and I was able to get him in the interview room for half an hour, sit him down, and get him talking about what he’s been working on, how he got started as a writer, the big news with the Old Kingdom books, what he likes to do in his spare time, what he thinks about long-distance traveling, and where he would live in the Old Kingdom. I’ll see you next time, on December 1st, where I’ll be interviewing author Ken Scholes, who currently has to two books out of his Psalms of Isaak series: Lamentation and Canticle.